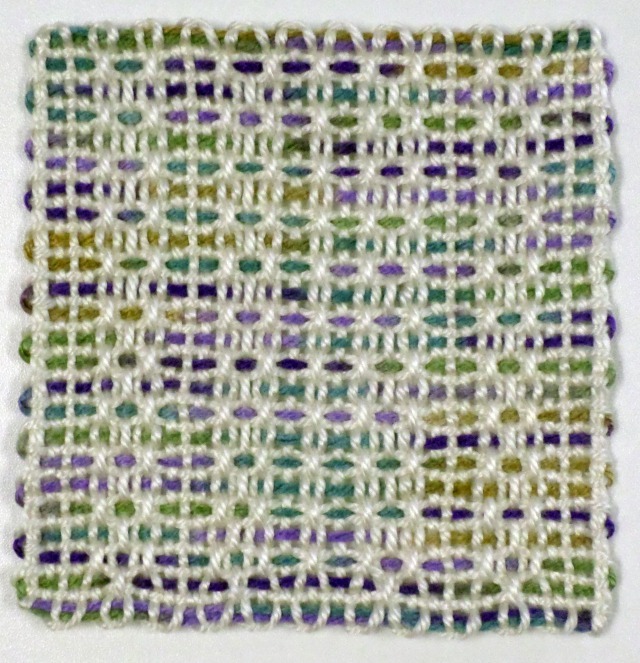 However, you may find that weaving a textural pattern meant for a 4″ loom results in a small design that may not be as satisfying-looking on a larger square. 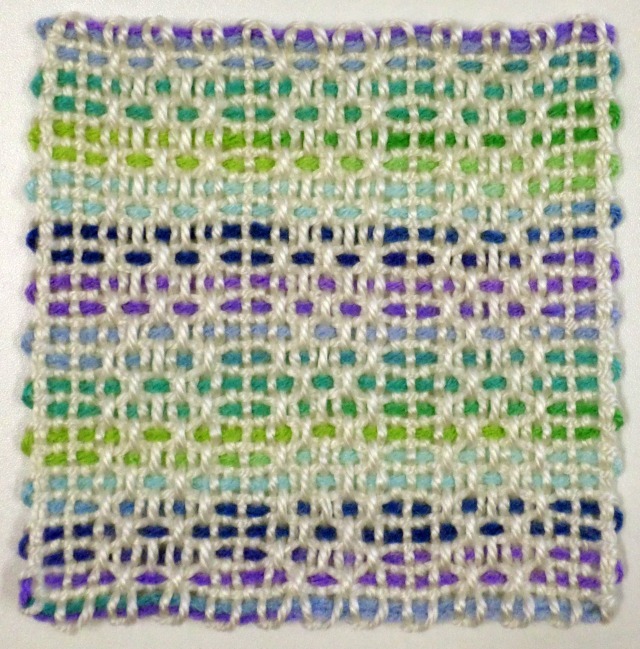 I’ve taken some patterns and adapted them for the 6″ square. They have really fascinating names. TRY THIS: When using variegated yarn for L4, measure off the length for L4 (about 4 yd, 30 in), but don’t cut it. 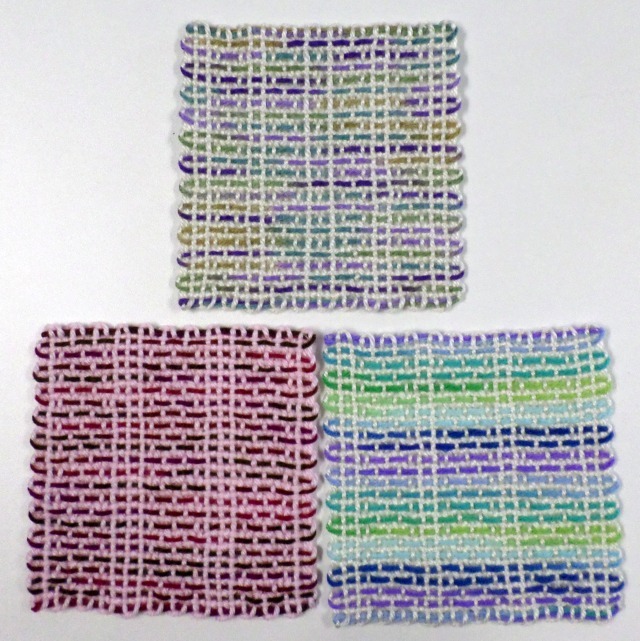 Fold the length in half and find the center of the color band repeats, then cut each end as necessary to center the color repeats in the square. 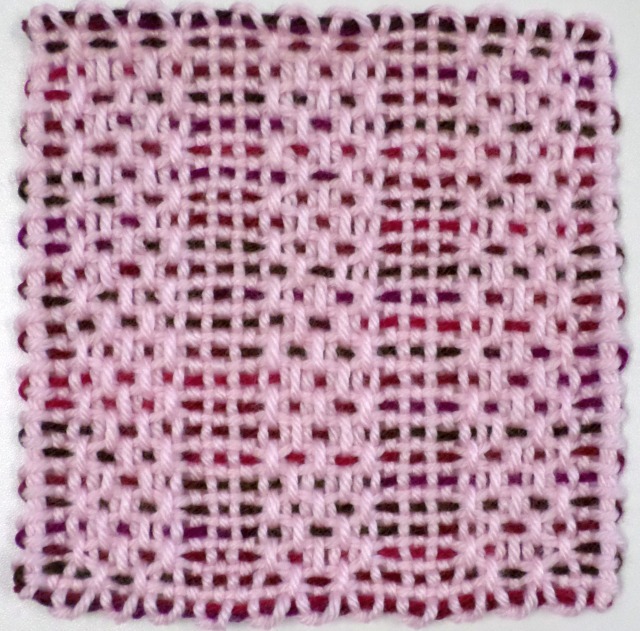 When using non-stretchy (such as acrylic) yarn on the 6″ loom be sure to warp quite loosely so your square doesn’t become impossible to weave partway through. It takes some experimenting to get the tension right, so start loose. This pattern is a little more interesting on the back than the front. Also, I can tell there are mistakes in the layout of this pattern (in the repetitions of rows 3 and 5), which I will be correcting. 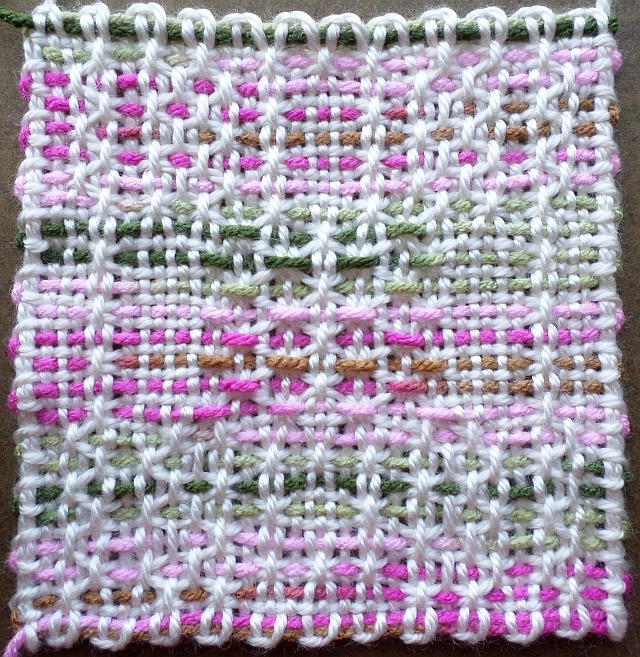 I’m working on some pictorial patterns for the 6″ loom, so stay tuned. Thanks Sue. I really appreciate all the patterns you design. You’re welcome! I enjoy designing and sharing them. Hola Sue,soy Inés(de Argentina) deseo que tengas mucha suerte en tu blog, yo espero poder hacer tus diseños,gracias por aceptarme.